Leeds United are back in the driving seat for the direct promotion spot. The Whites have opened up a three-point lead over their rivals Sheffield United, and with four games to go, Bielsa’s men would be the favourites to make it to the Premier League. It will be some achievement for everyone involved with the club as with minimum reinforcements, they have managed to make a turnaround. Moreover, the Whites squad had been hit by various injury crisis throughout the season, but Bielsa’s men have managed to pass every test with flying colours. However, there is no doubt that the squad would require massive surgery if they move to the Premier League. One area where Bielsa doesn’t have many options is in midfield. The Whites can look to target Mohamed Diame of Newcastle United to add more depth to their squad in the summer. Diame is in the final few months of his contract with the Magpies, and there are no signs yet that he would be offered a new deal. The midfielder has been more or less regular for Newcastle United this season as he made 27 appearances for them. What will Diame bring to the table? The Senegalese international is a versatile midfielder, and he can do various jobs in midfield. The 31-year-old can fill in as a defensive midfielder as well as an attacking midfielder. However, he is at his best in a more box to box role. Diame has that work rate which Bielsa often demands from his players, and we feel that the midfielder would settle in well at Elland Road. The midfielder has plenty of experience of the Premier League as he more than 230 appearances to his name. Therefore he would add calmness and stability in midfield. But he is already 31? 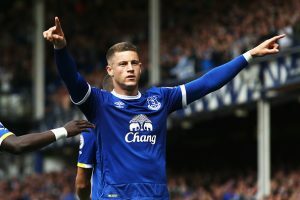 The Whites might want to see some big stars coming in the summer, especially if they move to the Premier League. It’s true that Diame might not be a game-changing signing. But in a long season, given the intensity of Bielsa’s play, the Senegalese could prove to be an essential squad player. Moreover, on a free transfer, the Whites would not have anything to lose, and Diame can turn out to be a shrewd signing. His experience, versatility and work rate should be enough to persuade Bielsa. On a two-year deal, the midfielder can be a decent acquisition as a squad player for the West Yorkshire outfit. Liverpool Reward This 21 Y/O Teen Sensation An Extension: A Step In The Right Direction For The Reds? Celtic Made £8.8m Move For This Serie A Defender In January: Why This Move Shows Rodgers’ Ambition?